Actor and producer David Oyelowo started with stage roles before his break with Selma as ‘Marthin Luther King Jr’. The British-born Nigerian talent has dabbled in different faculties of filmmaking, adding more prospects to his portfolio. Despite the challenging hurdles in the industry, Oyeleowo stayed true to his dreams and now reaps the dividends of his steadfastness. David Oyelowo’s story is that which should be heard by any aspiring Hollywood actor. Several questions have been raised regarding the seemingly enigmatic actor who is fast rising to prominence. To dwell on the life of the actor would mean to answer some of these questions. He is an acclaimed actor born on April 1, 1976, to his Nigerian parents in Oxford, England. His family who went back to Nigeria when he was six moved back to London eight years later when he was 14. Settling in Islington, David who was always inclined to the creative arts attended City and Islington college where he enrolled in theatre studies. He later underwent training in acting at London Academy of Music and Dramatic Art (LAMDA) after which he began scouting for roles. When movie roles were not forthcoming, Oyelowo started out with stage acting in 1999 when he played a character in Ben Jonson’s Volpone. One of his most remarkable performances was his character as King Henry VI in Shakespear’s production. Oyelowo started making appearances on Television from the late 90s. After Maise Raine in 1998, he went on to play the character of an MI5 officer in the series, Spooks from 2002 to 2004. He made another appearance in the TV film Born Equal which portrayed the deprived life of a suffering Nigerian couple. Alongside Nikki Amuka-Bird with whom he starred in ‘Born Equal’, he also made appearances in TV productions; Shoot the Messenger (2006), The No 1 Ladies Detective Agency (2008). He played a leading role in Small Island in 2009. David Oyelowo voices the character of ‘Scar’ in the second season of The Lion Guard. He is also the voice behind the character of Alexsandr Kallus on animated series Star Wars Rebels. The actor made an appearance in the film Middle of Nowhere which premiered in 2012, at the Sundance Film Festival. He established his independent production; Yoruba Saxon Productions company in 2014. The company has birthed productions like; Captive, Nightingale, A United Kingdom, and others. Oyelowo starred in Selma as Martin Luther King Jr in 2014 and shot to popularity in the industry. For his remarkable role in Selma, the actor bagged the 2014 Critics’ Choice Movie Award for ‘Best Actor’. He also won the NAACP Image Award for ‘Outstanding Actor in a Motion Picture’ that year. Also in 2014, the Selma star earned his first ever nomination at the Golden Globe for ‘Best Actor in a Motion Picture – Drama’. David Oyelowo is a work in progress and is still many steps away from the peak of his career. While his net worth has been estimated at $3 million by some sources, some still think the actor has garnered more than that. Regardless, this amount is likely going to become a trifling figure in a few years. David Oyelowo’s career life has not altered his beliefs and values about marriage, family, and togetherness. 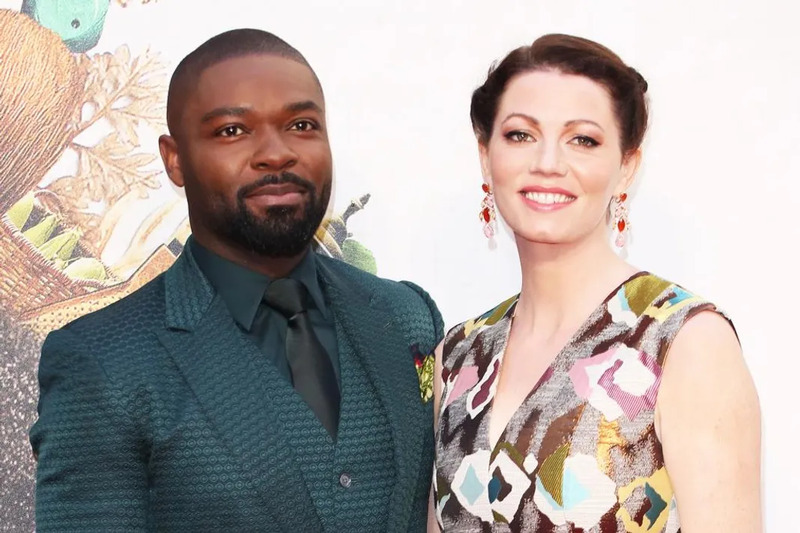 The actor is married to his wife Jessica Oyelowo, an English actress. He met the actress while he schooled at the National Theatre. Things soon grew from a friendship to a romantic relationship and the couple subsequently took their love to another level. The couple who have been married since 1998 have four children together. Often times, questions are raised on platforms about the interracial couple, regarding the success of their marriage. Many have wondered how the couple from different backgrounds and races, have managed to stay together for so long. But Oyelowo who is a staunch Baptist Christian is a traditional family man who upholds the value of marriage. The actor refers to God as his inspiration and credits his achievements to the supreme being. Oyelowo, alongside his wife, naturalized as US citizens in July 2016. David Oyelowo stands at a height of 5 ft 7 in (175 cm) which is quite proportional to his weight of 78kg (172 Ibs). He has a sturdy looking body which perfectly suits his movie roles. His chest of 42 inches strongly supports his biceps which measure 15 inches; giving him a robust wingspan.